Welcome to the homeschool club! I understand the grieving of school experiences… but, thankfully, there are so many amazing things about homeschooling your child that (in my experience) make it such an amazing life. And being part of a homeschooling community is wonderful! I don’t know exactly how you feel, but I share some of the sentiments. What I have found is that when it comes to this, “you can’t say the right thing to the wrong person and you can’t say the wrong thing to the right person”. Supportive people support, judgmental people judge. Its funny that you posted this because the post I was going to publish today was very similar to this, but I decided to postpone it until I let some time pass. The post is about my son’s Asperger’s Syndrome and homeschooling. Although he gave me the green light, I thought I should wait, in case he had a change of heart about me sharing his story. You know what is right for her and your family. I wish I felt confident to homeschool my boys. Praying for you! Those sound like good reasons to homeschool. It can be scary to let other people look after your children, especially while they have umpteen other little ones to watch at the same time. Good luck! I’m going back and forth on this too. My 4 year old will be 5 in August so he can go to kindergarten. I’m for sure going to be holding him back for a year. But will he be ready to say no to all treats in a year when he’s 6? Like your daughter, he hasn’t had an anaphylactic reaction since he was 1 so he doesn’t understand how scary it is. It scares me, but I’m not sure I’m ready to homeschool. He’s already more anti-social than most kids due to the fact I can’t allow him to do playdates at other kids’ houses and he knows he’s left out at birthday parties so he’s kind of stopped trying to be like the others. He’s anaphylactic to dairy, eggs, peanuts, and some tree nuts. I keep hoping things will improve. They never do. I can only imagine that I would make the same decision in such a situation. I often wonder how I would handle having a child with a severe allergy. I do hope it gets better for her. I think everything will work out fine. Why would anyone care? This is the best choice for you family. Again, you dod waht you have to do! I support your decision to homeschool. That is probably the wisest choice given that dairy is in so many more things than peanuts are, so her risk of anaphylaxis is greater. It will ease your mind to know that she is safe. I would probably do the same thing. You can have allergy-free play dates for social exposure. And she will probably learn more than kids her age going to public school. My cousin had a severe allergy to dairy, nuts and eggs growing up. Like even skin contact was a HUGE issue and dairy and nuts being ingested meant an ambulance ride. She was able to go to school and be okay and she actually outgrew the dairy after high school! This must be difficult for you. I know you must feel torn. You can only do what you feel is best for your daughter in your own heart and husbands. Stay strong you are doing a great job. Making hard decisions are so…hard! Good for you! It’s always tricky trying to decide what’s best for our little ones, but I’m sure you are doing what’s right for her (and your family) right now. The coolest thing about being a mom is you know what’s best for your little girl. And, from what I know, the homeschooling community might put on a Christmas show. (My daughter’s school is mostly Jewish, so…no Christmas play here.) Good luck homeschooling! it’s always tough to move in a direction opposite the one most people are taking. i hope you find it to be as rich and rewarding a lifestyle as we have. WOW. I would do just as you are doing if my child had such a severe allergy. I pass no judgement in any way. 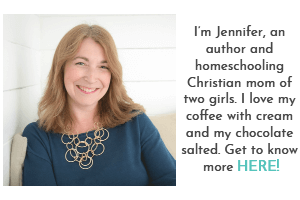 I am always interested in hearing about mother’s homeschooling journeys. For some reason, it fascinates me. My daughter is 3 and will be attending preschool Fall 2015… which frightens me. I have had homeschooling in my mind for the past year but I don’t know if I will really do it. I have something interesting to tell you Monica. I would have NEVER thought I would homeschool my children. However, we began this journey out of what felt like necessity. The funny thing is, I realize now if my daughter ever grew out of her allergies, I would continue to homeschool her. I love it. 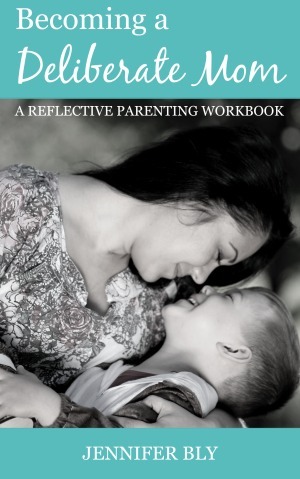 I love choosing my daughter’s curriculum… it’s full, it’s beautiful, and it’s rich. Just this year alone, we have done a novel study of The Tale of Despereaux; learned about archaeology, explored ancient Egypt; and China. In January she will be starting art classes with a local artist, attending a 6 week workshop on the rain forest, and will be participating in an online paleontology class. She’s in grade 2! Most importantly, since I know what she’s studying 24/7, I can incorporate learning and exploration of her curriculum naturally though the day. 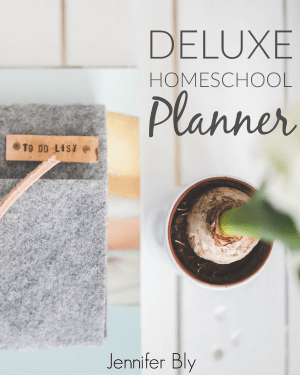 I love homeschooling and I share different aspects about our journey here on The Deliberate Mom. I never pressure others to homeschool– educational pursuits are unique to each individual family. You know your child best and the education you choose for your child will undoubtedly be what she needs. Thank you so much for your thoughtful comment. It was nice to be able to connect with you. I think homeschooling is great! I also think that it’s not for everyone. I’ve seen both good and bad in homeschooling and in public school so no judgement here. I’m on the fence about public school but luckily I don’t have to worry about it until I have kids and they are old enough. I just stumbled across your blog after making the decision to homeschool my very allergic 5 year old. 45 minutes of Sunday school is even scary for me so sending my little guy off to school is completely out of the question. 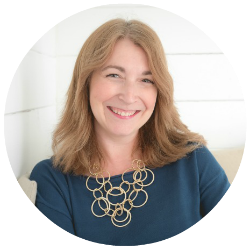 I am appreciative for your blog around and look forward to exploring it more!